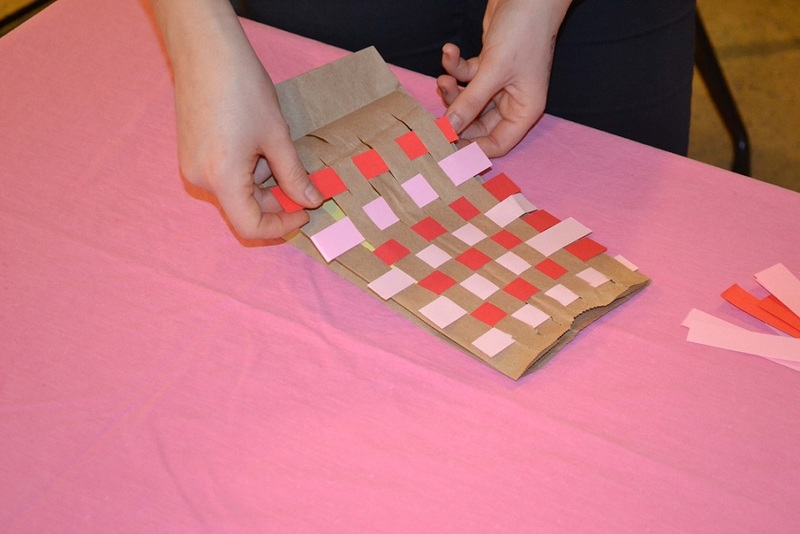 Keep little hands busy and practice motor skills with this fun Valentine’s card holder! This is a great way for your child to recycle a paper bag and get in the Valentine’s spirit. 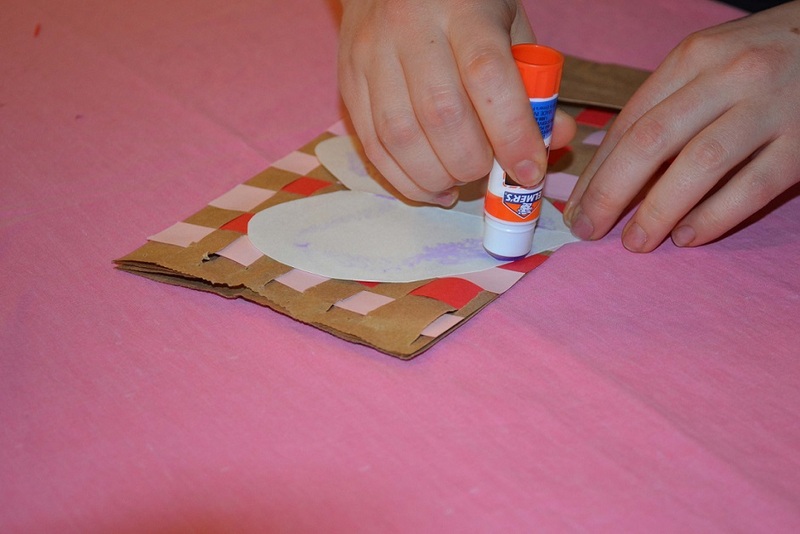 This craft is also a fun way to practice fine motor and organizing skills. 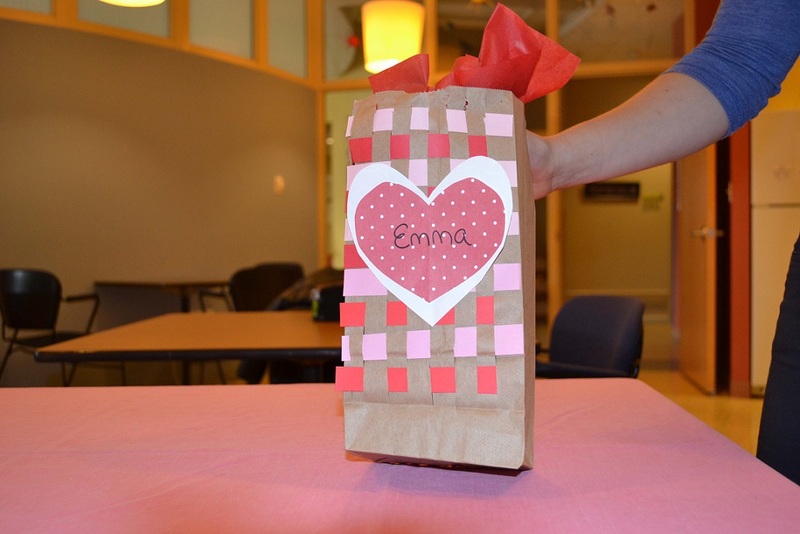 Your child can collect all their Valentine’s Day goodies in the colorful decorated bag. Explain the directions to your child first so they can see the whole process and understand why the steps are organized in the order they are. 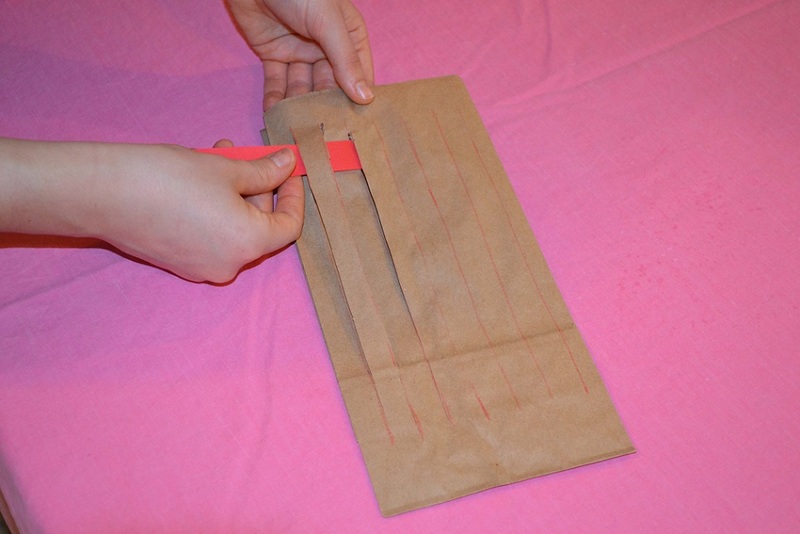 If possible, prepare a finished bag to show them as an example. 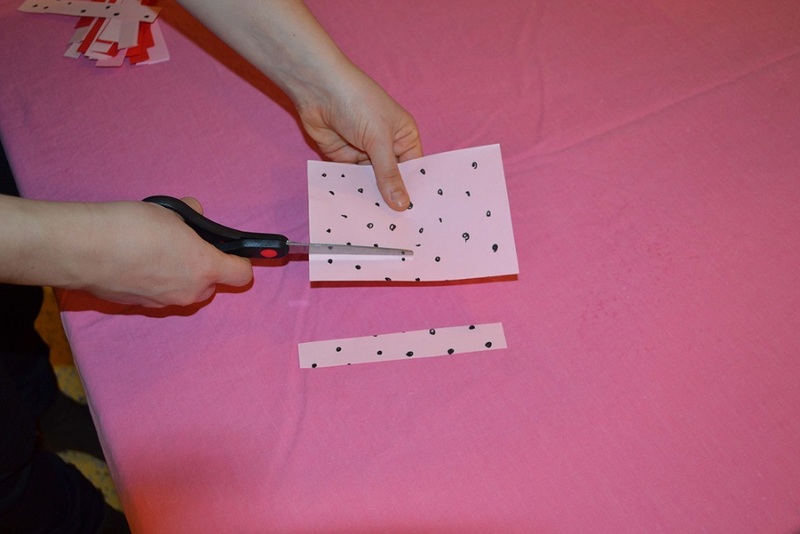 Remember to ask questions while doing the craft to keep your child engaged in this activity. Talk with your child about the shapes of the paper and the bag, and why weaving the paper means that it won’t fall out of the slits. Craft time can be a great opportunity to work on your child’s executive functioning, communication and planning skills. First you should help your child cut slits in the paper bag. The slits should be about the same distance apart and they should start just below the top of bag. Drawing lines on the bag for cutting would help your child accomplish do this. You can use any paper bag you have around the house including lunch bags. 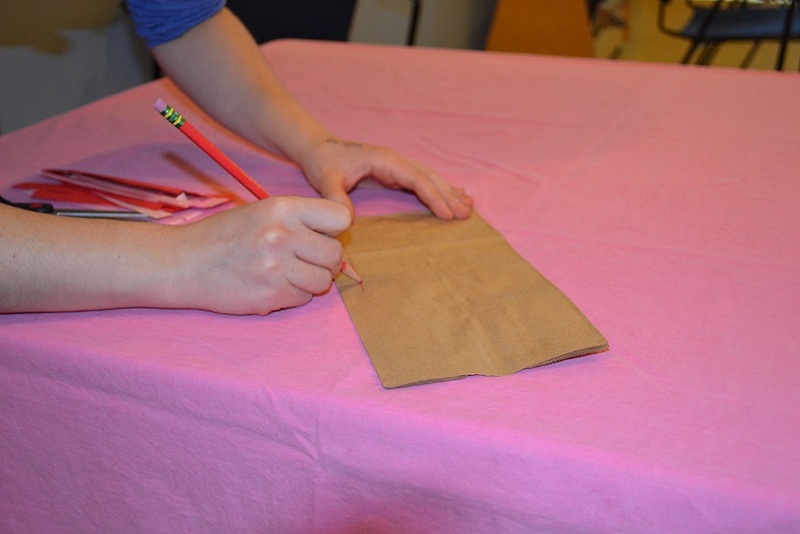 Let your child draw designs or color pieces of paper to be woven into the bag. You can also use construction paper if they prefer. 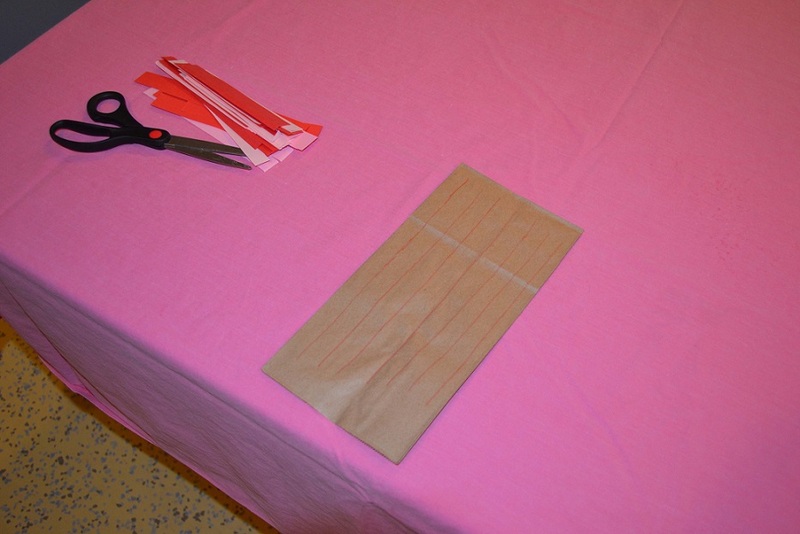 Depending on the size of the bag, you can cut the construction paper into strips that are roughly the width of the bag. These strips will then be used to weave into the bag. 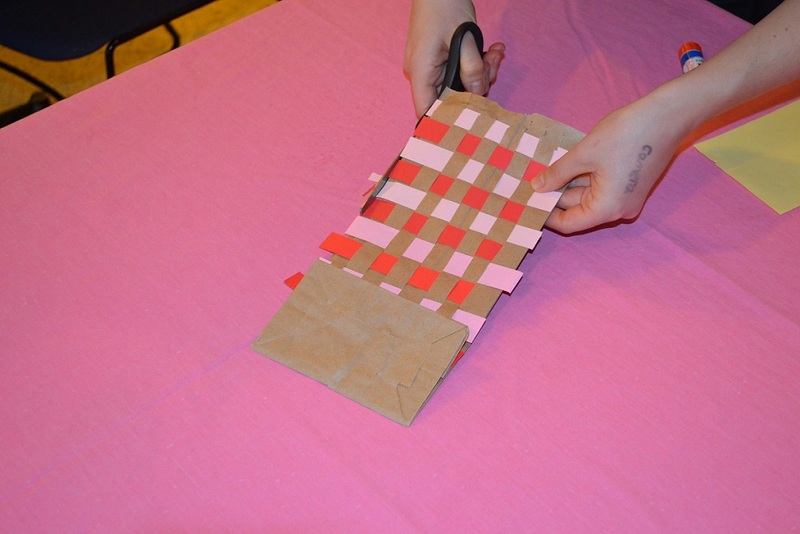 Let your child weave the strips through the slits in the paper bag on their own. If they struggle with the under-over weaving method, help them, but first let them try to figure out how to fix it on their own. If they continue to be challenged by weaving, offer them assistance. Weaving works on fine motor skills. Fine motor skills are important for children developing the hand skills for grasping and manipulation which ultimately provide a basis for handwriting. 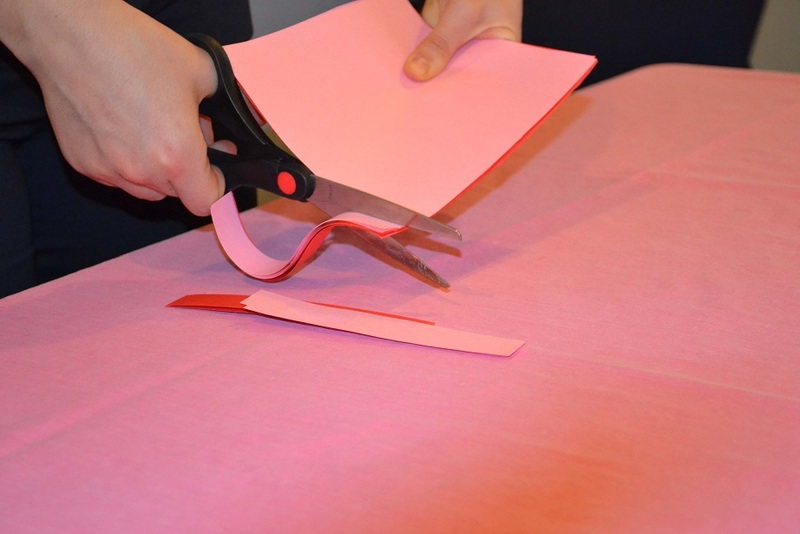 Once the bag is fully woven, you can trim the extra paper, and tape or glue down the edges of the paper with your child so the strips stay in place. If your child is bringing their card holder to a Valentine’s Day party, think about gluing or taping on a label with their name. Once completed your child will have a great place to keep all of their Valentine’s Day cards. Want more information on Valentine's Day activities? 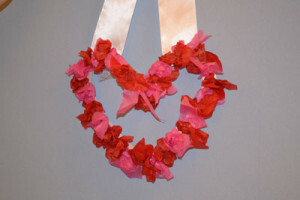 Help your kids develop their fine motor skills by making this fun Valentine’s Day wreath. Have fun with your kids this Valentine’s Day while helping them explore their senses. Previous Previous post: How Can I Practice Baby Sign Language?